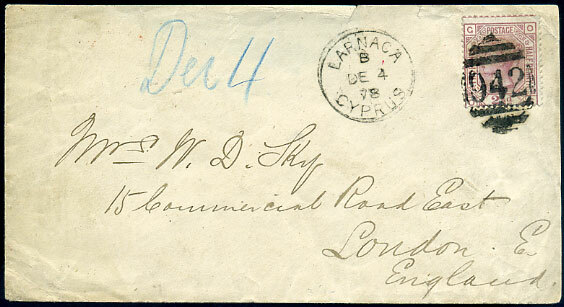 1878 with GB QV 2½d rosy-mauve Plate 12 pmk'd "942" with Larnaca B/DE 4 78 despatch to London, part flap removed. 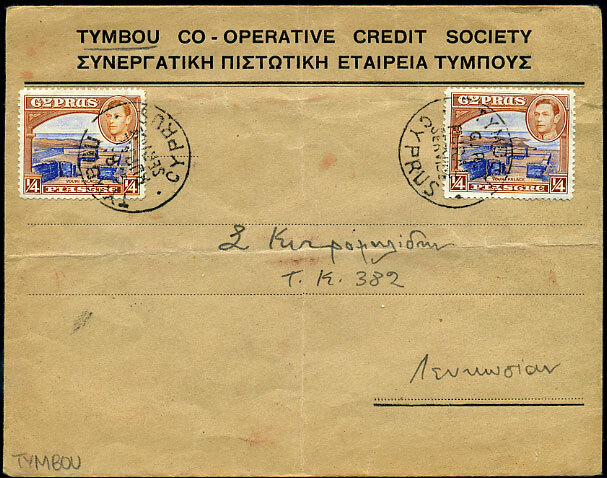 (T.26) on KG6 1½pi local Co-op cover, reverse Famagusta and Nicosia 28 JU 47 cds. 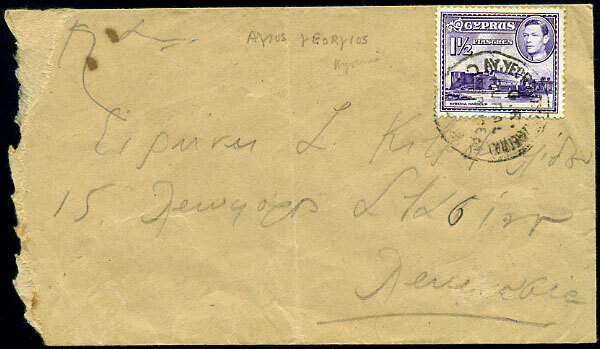 (T.28) on KG6 1½pi local cover, reverse Nicosia 7 JA 49 cds. 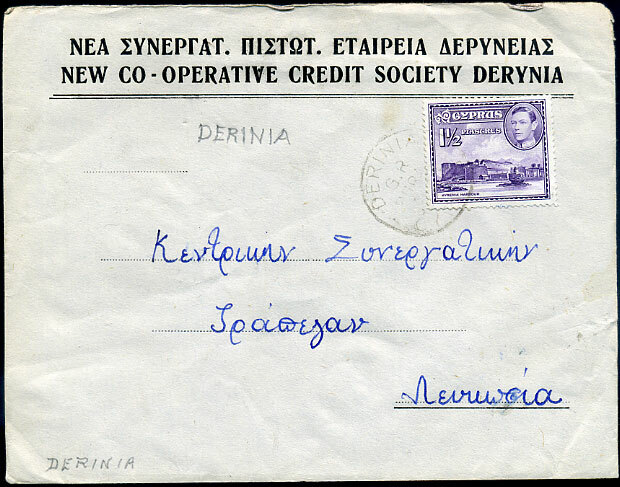 (T.28) on KG6 ½pi unsealed rate local Co-op cover, reverse Nicosia 9 DE 46 cds. 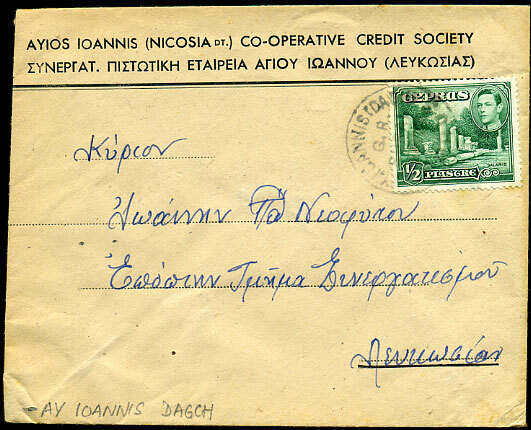 (T.28) on KG6 ½pi, 1pi local Co-op cover, reverse Nicosia 8 MR 46 cds. 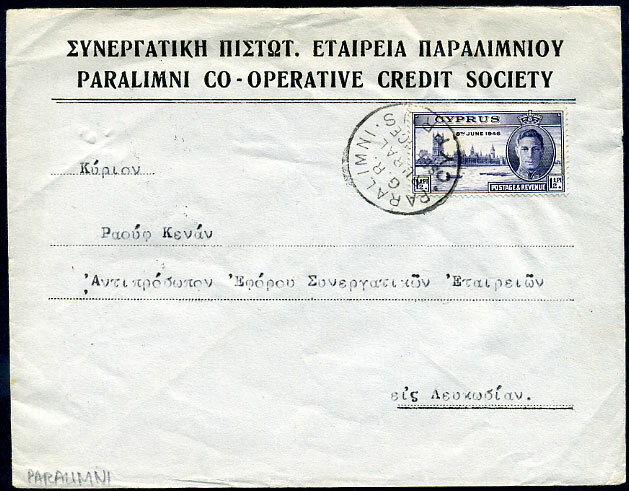 (T.28) on KG6 1½pi UPU local Co-op cover, reverse Nicosia 14 NO 49 cds. 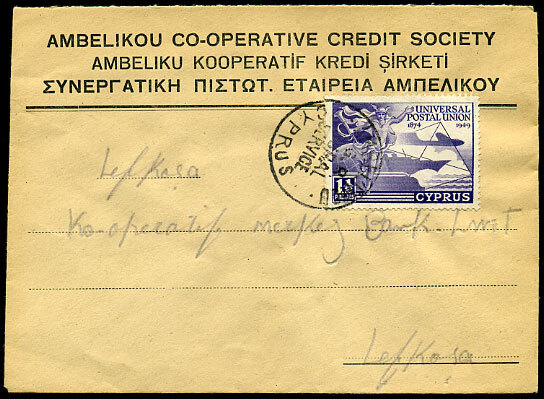 (T.28) tying KG6 1½pi on local Co-op cover, reverse Paphos 8 JY 47 cds. 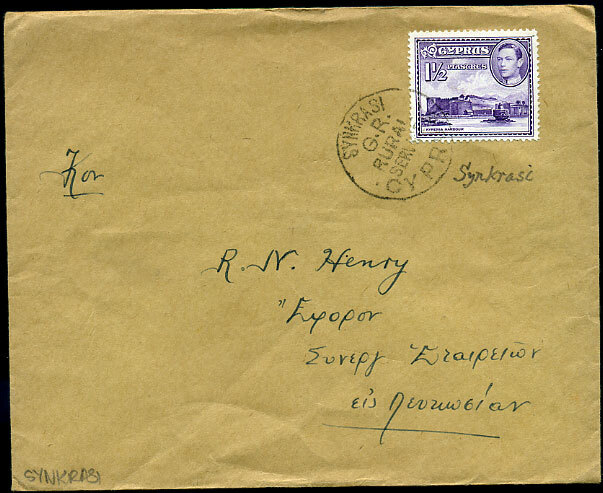 (T.26) on KG6 1½pi RSW cover, reverse Famagusta and Nicosia 27 JA 49 cds. 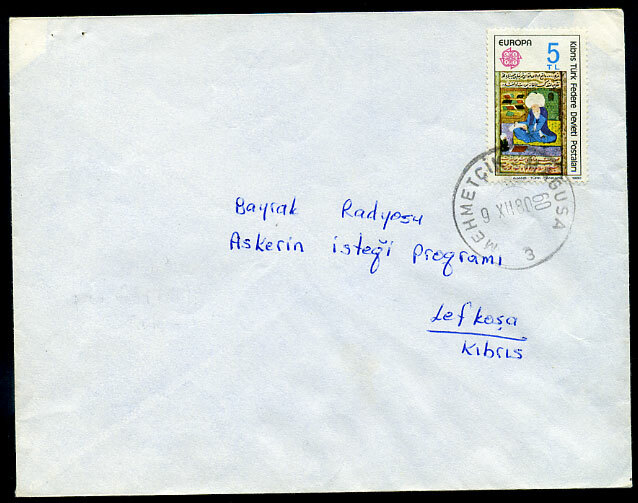 (T.28) on KG6 1½pi local cover, reverse Famagusta, Trikomo, Nicosia 1 FE 46 cds. 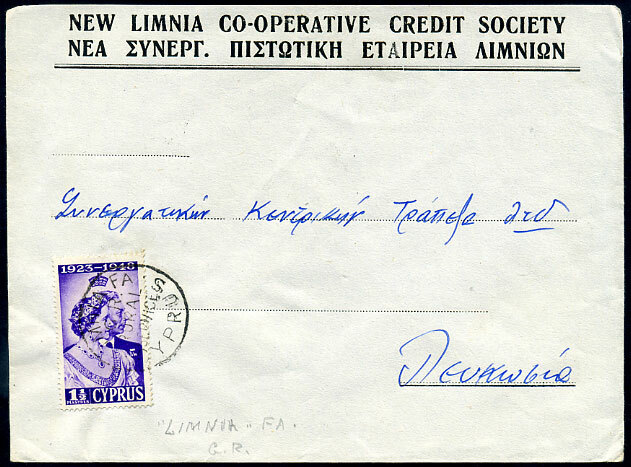 (T.28) on undated and unsealed 2 x KG6 ¼pi local Co-op cover. 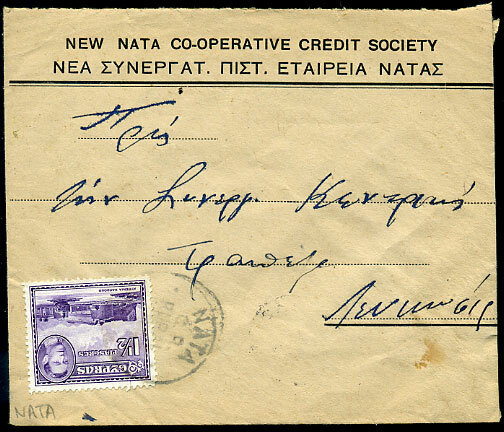 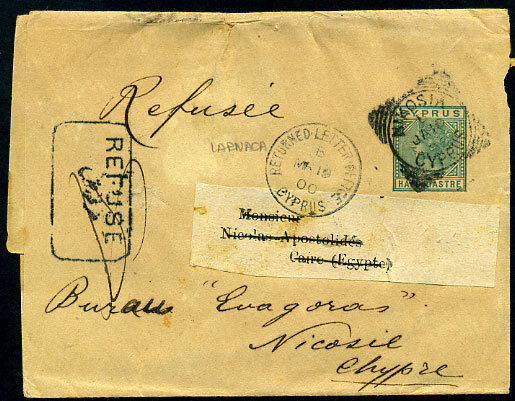 (T.26) on KG6 1½pi rate local Co-op cover, b/stamped Famagusta and Nicosia 1 MR 47. 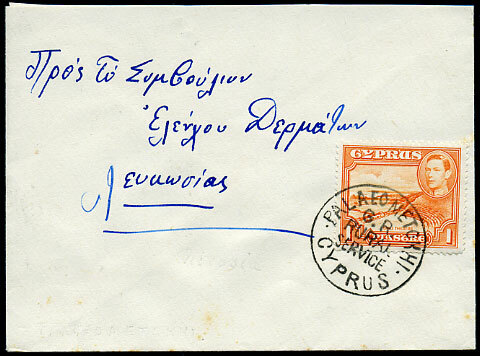 (T.28) on KG6 1pi (SG.154) local cover, reverse Nicosia 4 AU 43 cds. 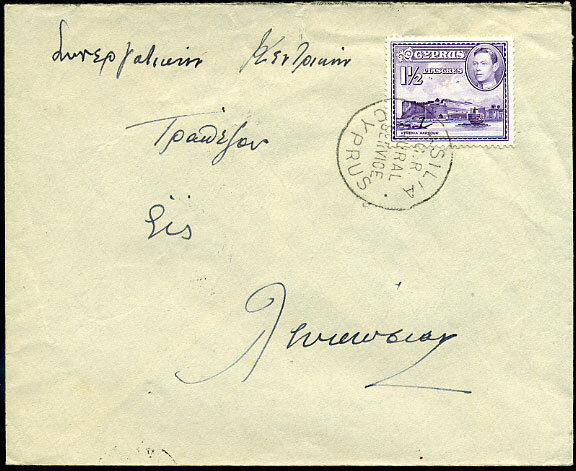 on cover dated 9 XII 80.
on cover dated 16 X 80.
on cover dated 12.11.81, some edge soiling. 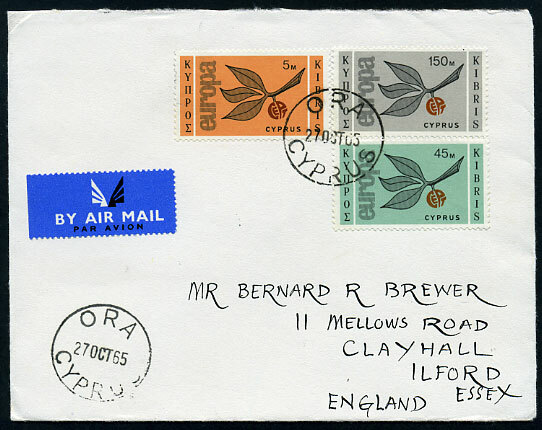 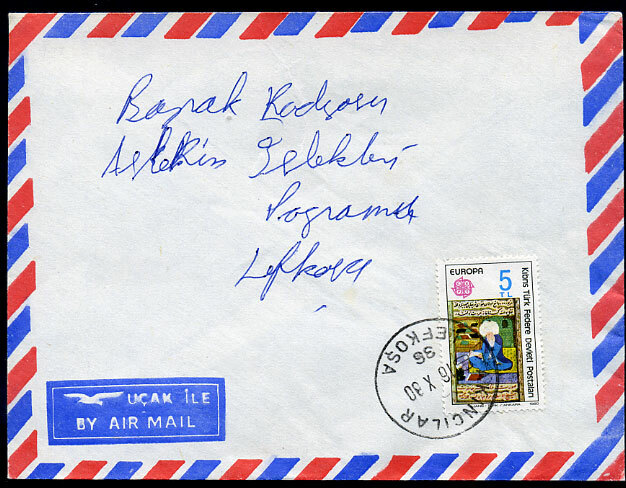 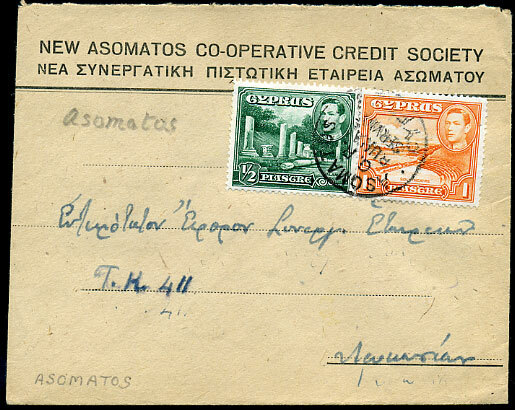 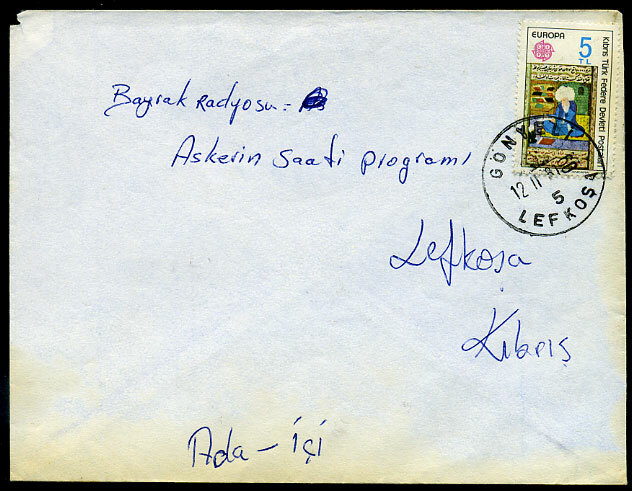 (T.31c) on 15m local cover, b/stamped Soli and Nicosia 13 SEP 1972. 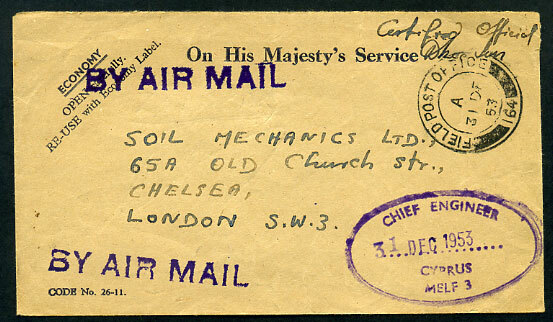 OHMS stampless cover "Certified Official/signature" dated A/31 DE 53 from Chief Engineer MELF 3. 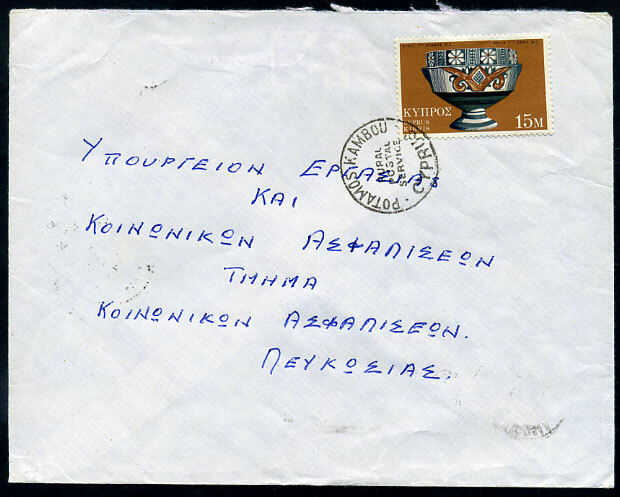 (T.10AA) B/MR 19 00 on QV ½pi Newswrapper pmk'd Nicosia B/JA 10 00 to Cairo where boxed REFUSE added.